In the state of Nevada and across the United States, drunken driving is one of the leading causes of car accidents. In addition to attendant property damage, a Las Vegas injury attorney knows these types of accidents often result in injuries and fatalities. In Nevada, according to the state’s Department of Motor Vehicles, over 14,000 people were arrested for drinking and driving in 2012. During the same year, drinking and driving was the cause of over 30 percent of traffic-related deaths in the state. Data from Mothers Against Drunk Driving shows that over 1.4 million drivers are arrested each year on suspicion of driving under the influence. The presence of drivers under the influence of alcohol on Nevada roads represents a threat to other drivers, passengers and pedestrians. As any Las Vegas injury attorney is aware, the consequences of this behavior can be tragic. For potential victims of driving under the influence, it is important to be vigilant about other drivers in their vicinity. To this end, MADD described a list of signals that may indicate drunk driving. Rapidly accelerating or decelerating, perhaps when it might otherwise be unnecessary to do so. Drifting in and out of traffic lanes. Tailgating other cars, especially outside of a scenario in which this might be more common, such as in a traffic jam. Slow response to traffic signals. Driving into traffic while attempting to pass, especially if the action is sudden or passing in that area is illegal. Striking an object, curb or vehicle, or even narrowly avoiding such a collision. Stopping without cause or erratic braking. Signaling that is inconsistent with driving actions. Weaving across the road could represent careless driving or joyriding behavior. Straddling the center lane market. 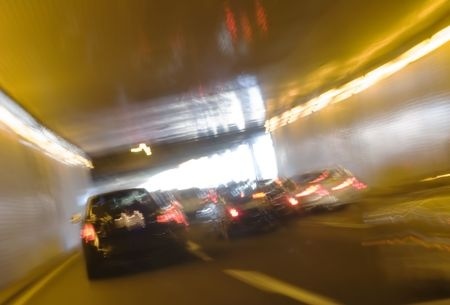 In addition to these ten signals of possible drunk driving, a Las Vegas injury attorney would say that driving with headlights off at night, or driving considerably slower than the speed limit, may also indicate impairment. If a driver spots one or more of these signals indicating drunk driving, MADD recommends four sequential steps to be taken. First, the priority is to create as much distance from the possibly drunk driver as possible, in order to avoid an accident. Second, do not attempt to communicate with the driver, by signaling to pull over or otherwise. Third, while still prioritizing distance and safety, try if possible to identify the license plate number and other vehicle details. Fourth, pull over and inform the police of what has been observed. Disclosing any information about the vehicle in question, the driving behavior and the location may help law enforcement to prevent an accident.